I don’t know how many job seekers are strategically using Twitter to network and advance their job search, but I do know that it’s a very small percentage. If you already use Twitter, you can easily switch to the more strategic focus I am going to teach you. But if you have never used Twitter before, don’t worry. It is easy to get started. It’s completely free. And once you understand the potential, I know you’ll be eager to get going. Twitter is often called a micro-blogging site. Basically, it allows users to broadcast messages to the world as long as those messages are 140 characters or shorter. 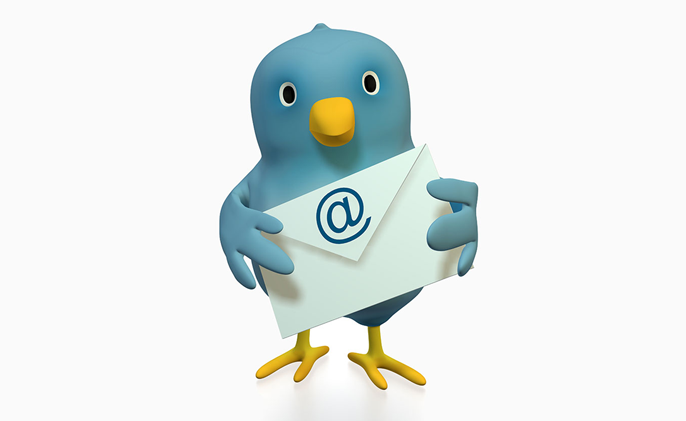 Your messages, known as ‘tweets,’ are publicly available to anyone. But with millions of people tweeting, the real benefit comes from the fact that you can choose whom to listen to. In effect, you tune in to another person’s Twitter feed and, in doing so, you see everything they write. In turn, when someone is interested in what you have to say, they click the ‘follow’ button and from that point on they see everything you post. This might not sound like an obvious networking tool, but bear with me. The reason it’s so effective is that it gives you an amazing ability to reach out and connect with anyone else who uses the site, no matter how successful, famous, or hard-to-reach they are in other walks of life. First and foremost, Twitter is a social networking site. Like LinkedIn or Facebook, it allows you to make connections with others. However, unlike those two sites, there is no requirement to know the people with whom you connect. This is because on Twitter you don’t ask someone to accept you as a connection, you simply hit the ‘follow’ button and from that point on you see everything they write. Conversation is the lifeblood of Twitter, so you are free to reply to anything you read. This gives you endless opportunities to connect with recruiters and hiring managers in your target industry. It also allows you to listen and learn from the very people whose attention you want to attract. To get started making connections, I recommend using Twellow.com to find people you would like to follow. Twellow allows you to search by keyword, category, or both. This means you can run searches such as ‘recruiters’ or choose a company name and look for people who work there. Once you are following recruiters, headhunters, and hiring managers/employees from your target companies, you can pay careful attention to their tweets and conversations and reply if you have something interesting to say. Even a ‘thank you for this informative link’ message is welcome. We all like to know that other people are listening to our words of wisdom. And once people come to know you, they are much more likely to respond to questions or requests. Twitter Search allows you to follow conversations that include keywords you choose. This is an excellent opportunity to passively surf for vacancies, as many hiring managers will tweet about their openings. Simply go to Twitter Search and type in the key words (for example, ‘web design jobs’ or ‘PR internships’), then check your chosen keywords every day. Any time these words arise in conversation, you’ll see the tweet and you can instantly respond. A few years ago, regular Twitter user Alexa Scordato lost her job. Instead of calling or emailing her contacts, she sent out a tweet to all her followers. Within one week, Alexa had an interview, and a week later she was hired. Her story was such an eye opener for a lot of people that it was written up in major media publications. But it wasn’t actually all that unusual. Every day, people are leveraging their Twitter connections to secure interviews and new positions, and you can do the same. Of course, you need a good network of followers for that to happen, which is why steps two and three are so important. For example, if you’re seeking a position as a marketing manager for a technology company and have followed recruiters who specialize in that industry and hiring managers or employees who currently work at some of your target companies, there’s every chance that when you say, “I’m looking for a marketing job in a tech company,” someone will know of such a vacancy. This is why targeting people to follow is so important. Don’t just add people as fast as you can so that your own number of followers increases. Instead, focus on finding people who can help with your search. NOTE: If you are currently employed and don’t want anyone to know that you are looking for another job, don’t broadcast the news on Twitter. This may seem like obvious advice, but this is a mistake that has cost more than one person their job. On Twitter, the biggest compliment you can pay someone is to retweet something they sent out. In doing so, you are telling everyone you know that the tweet has value. Because being retweeted is such a compliment, most of the people you retweet will notice. They may or may not respond, but if you do this a few times, they will come to know you, and probably pay more attention to the things you have to say. The best way to get attention from people who might be able to help is to add professional value on Twitter. Share interesting articles, books, or other information. Demonstrate your knowledge of your field. Answer questions from those looking for help. By doing so you are adding value, and this attracts more followers. The more followers you have, the more likely it is that one of them knows about the perfect opportunity for you. Adding value is increasingly important as Twitter grows. Most people follow more people than they can ever keep up with. As their list grows, they start to make it easier by creating lists of people they want to pay special attention to, or by just skimming quickly and only seeing whatever catches their eye at that moment. In order to get attention, you need to prove yourself to be someone worth listening to, and the only way to do this is to add value. Twitter allows you to build lists of people you think are especially worth paying attention to. With this feature, you can then quickly read the tweets from a specific list. Other people can also follow your list if they are also interested in the same subject. I recommend creating a list for movers and shakers in your industry and then letting each person know that you added him or her to the list. So a designer might create a ‘web design experts’ list, add names of people he admires, and then send each one a tweet notifying them of their inclusion. If your search is not a secret, mention it every once in a while. Don’t become tiresome, talking about nothing but how you need a job -– that’s a surefire way to lose followers! But do feel free to mention interviews or their job search activities in your updates from time to time. Some of your followers will have missed your original tweets about needing work, and you will be gaining new followers all the time, so this is a great way to make sure that everyone hears about your search without being repetitive. There is nothing wrong with asking a hiring manager or recruiter if they have any suitable opportunities, as long as you don’t become a nuisance. If you have been using Twitter properly, your page will be professional and interesting, so if one of these people checks you out, they will get a good impression. Twitter allows you to write a short bio about yourself. Use this space wisely. Look at lots of other bios to get a sense of what works well -– everyone who checks your page will look for this and evaluate you based upon what they find. The best Twitter bios combine personal information and professional details and have a confident tone. Twitter bios also allow you to link to a web page. I recommend linking to your LinkedIn or Google profile, as these will be the most informative to someone checking you out for the first time. (Here’s more on how to write a killer Twitter bio). Now that you’re using Twitter for your search, be aware that recruiters and potential employers may read anything you write. This doesn’t mean you can’t insert a little bit of your personality into your tweets but it does mean that you shouldn’t say anything that would reflect badly on you. Before you type, imagine your new boss reading the tweet. If he wouldn’t like it, don’t hit the ‘submit’ button! Twitter is an incredibly valuable job search tool and very few people capitalize on it. Why spend hours searching Internet job boards for the same vacancies everyone else is seeing, when you could be making valuable connections on sites like Twitter? Read more about Networking, Online Presence.